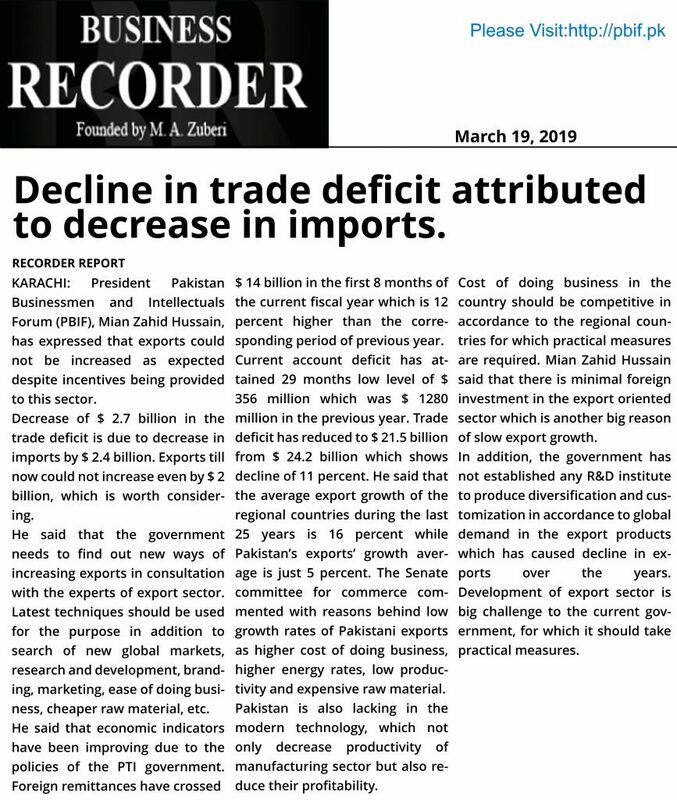 Current account and trade deficit have been declined by 72 % and 11 % respectively during the 8 months of current fiscal years. 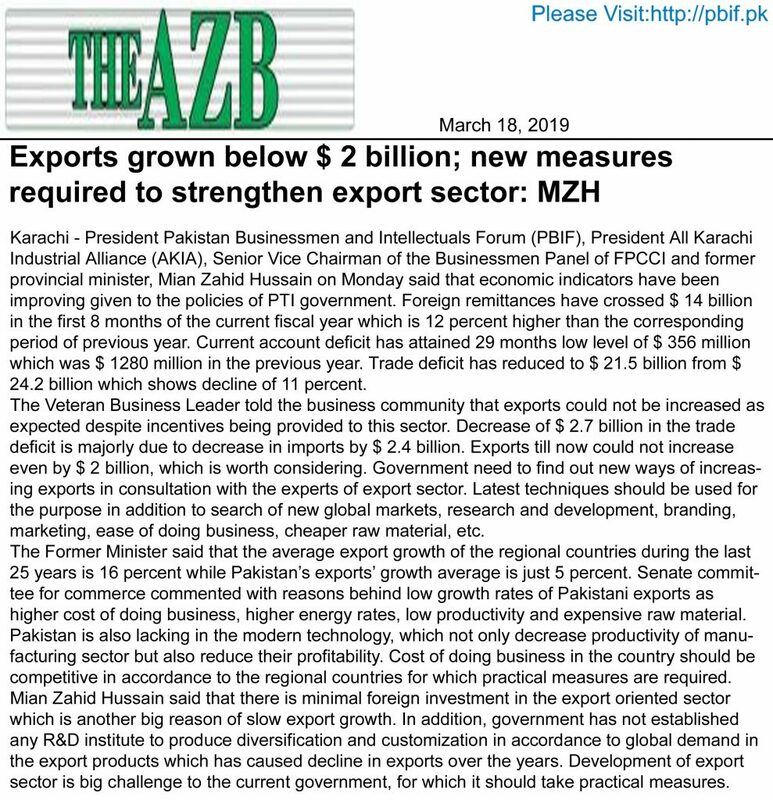 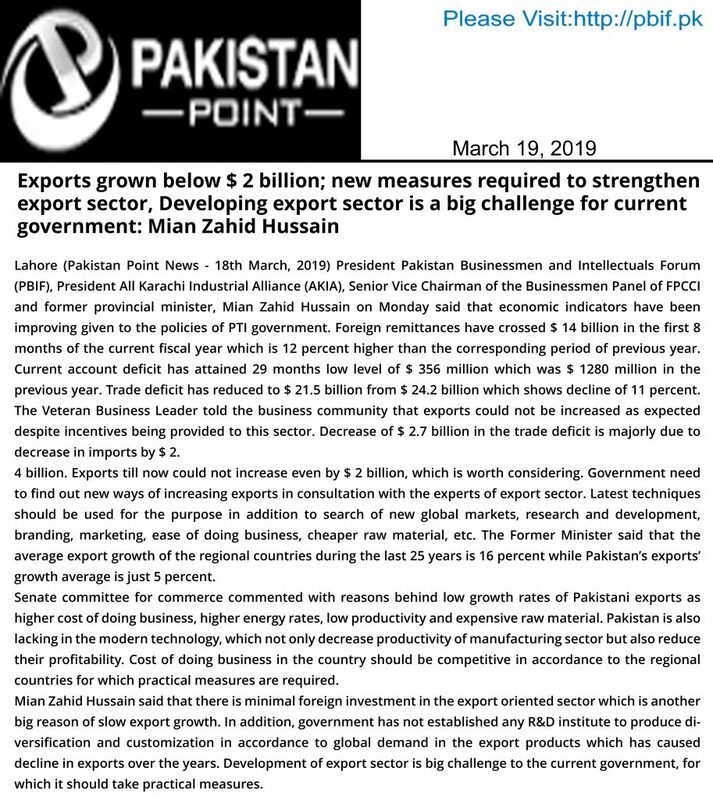 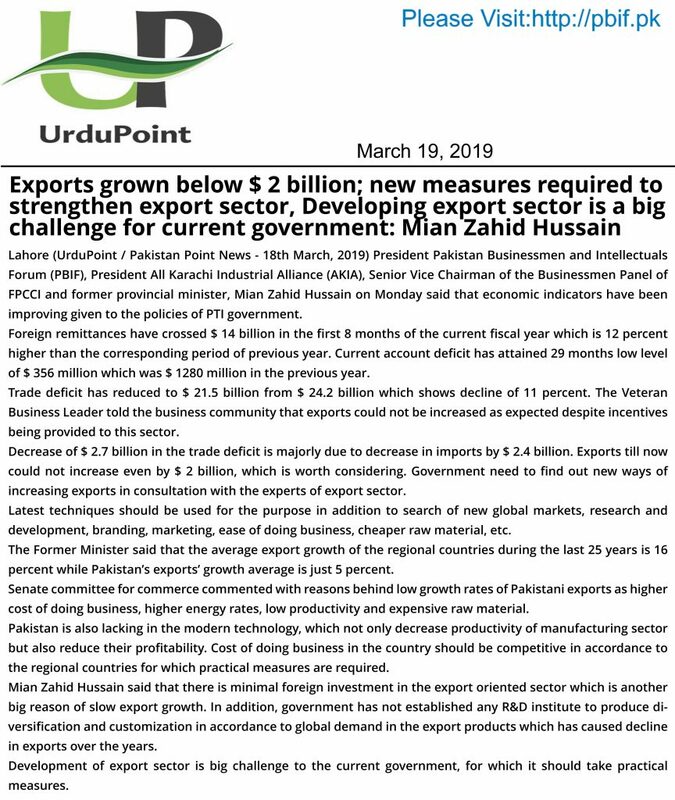 Exports grown below $ 2 billion; new measures required to strengthen export sector. 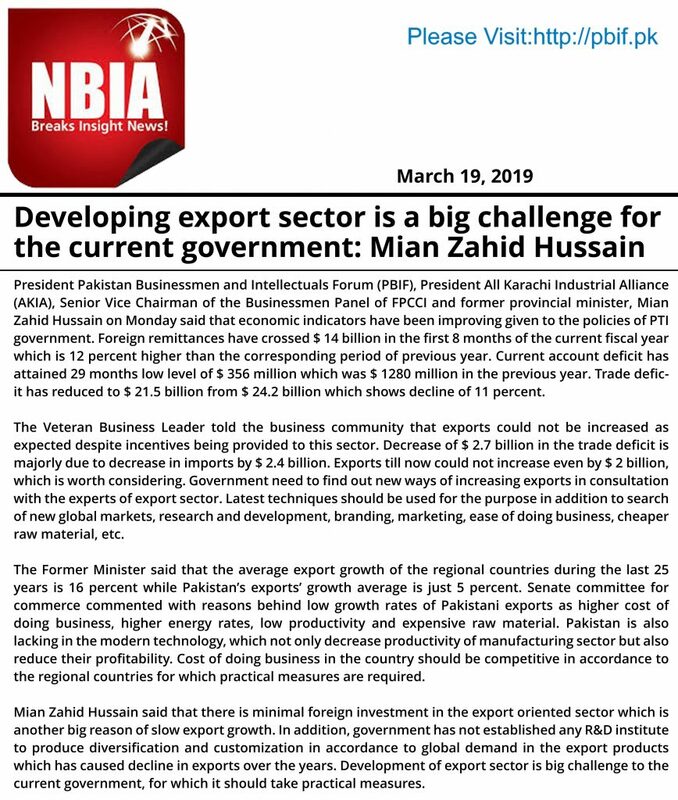 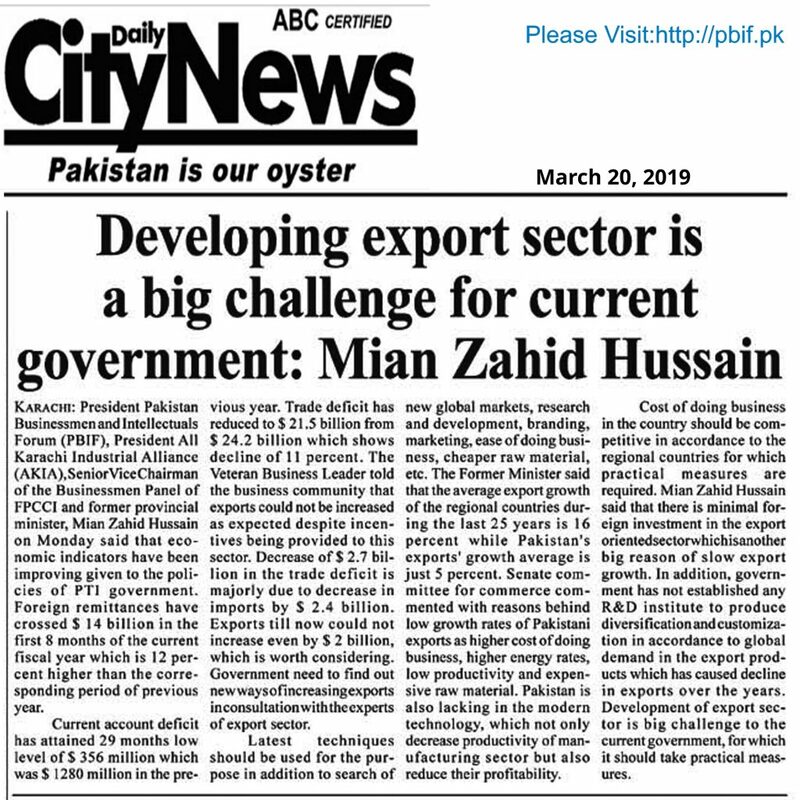 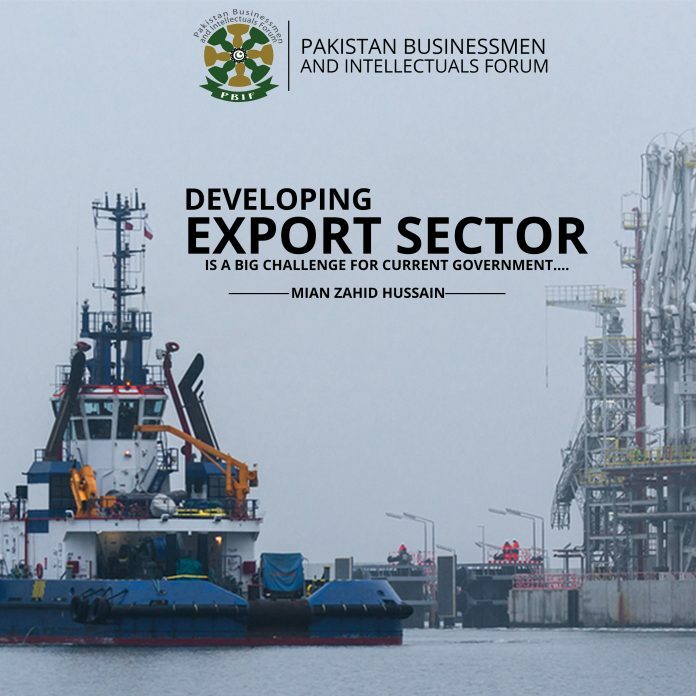 Developing export sector is a big challenge for current government. 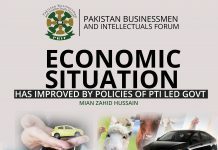 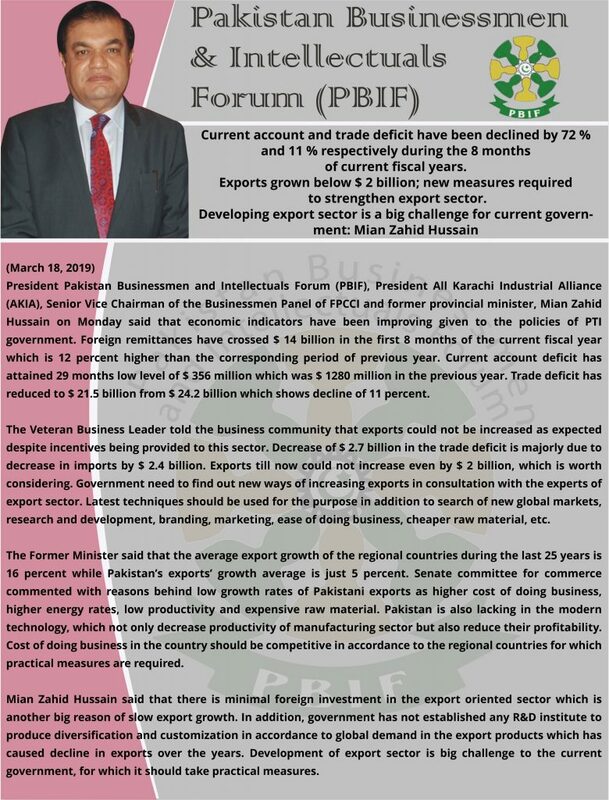 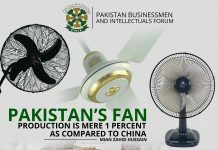 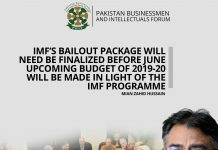 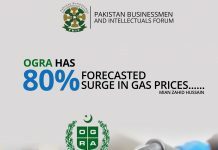 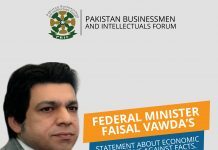 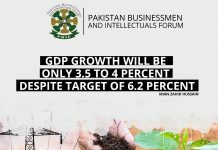 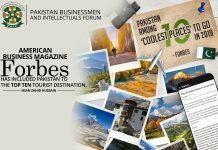 President Pakistan Businessmen and Intellectuals Forum (PBIF), President All Karachi Industrial Alliance (AKIA), Senior Vice Chairman of the Businessmen Panel of FPCCI and former provincial minister, Mian Zahid Hussain on Monday said that economic indicators have been improving given to the policies of PTI government. 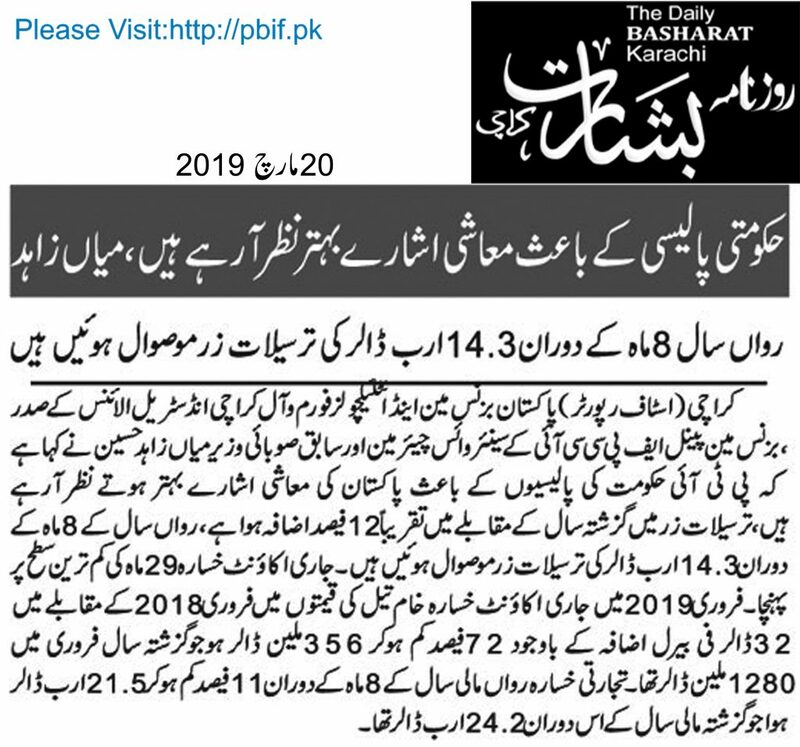 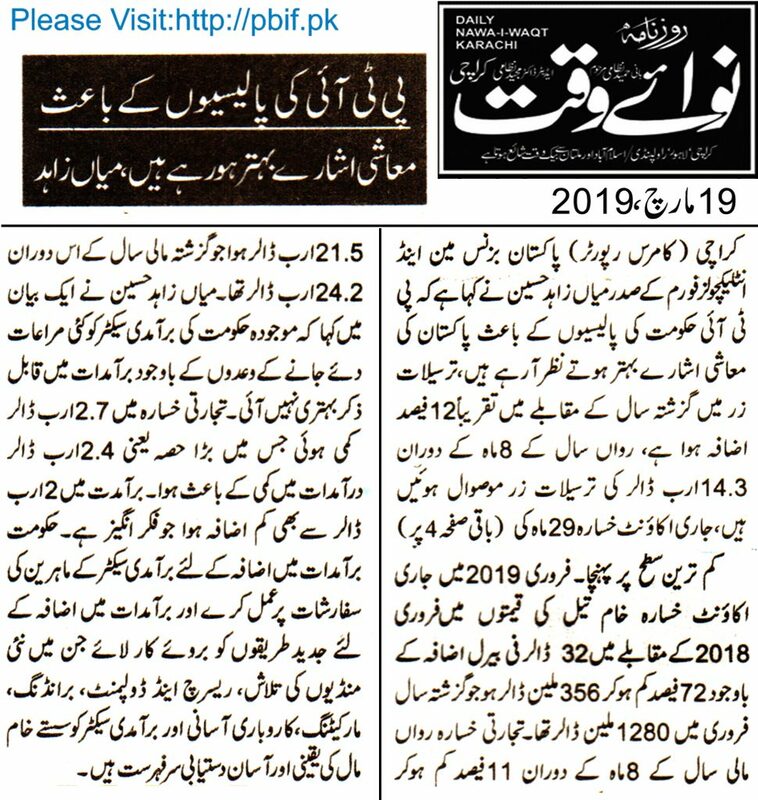 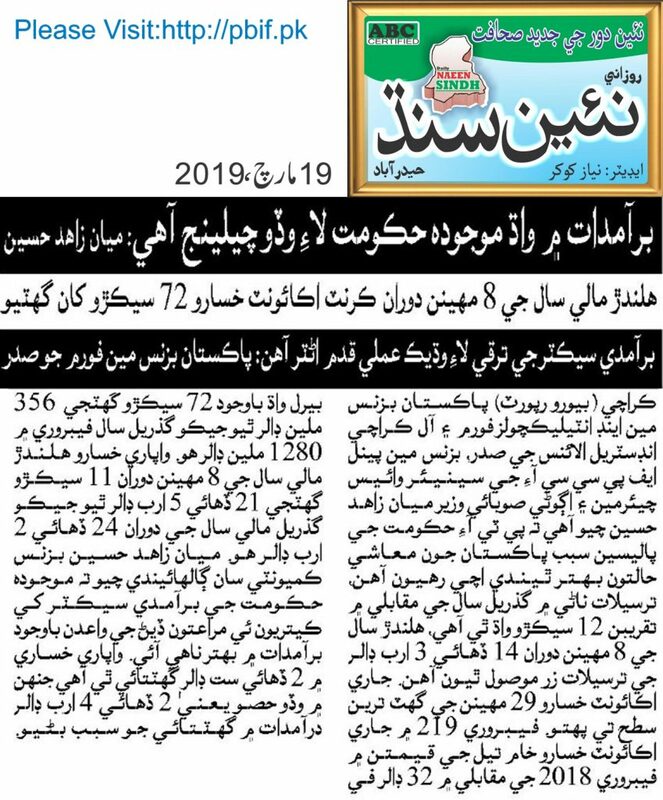 Foreign remittances have crossed $ 14 billion in the first 8 months of the current fiscal year which is 12 percent higher than the corresponding period of previous year. 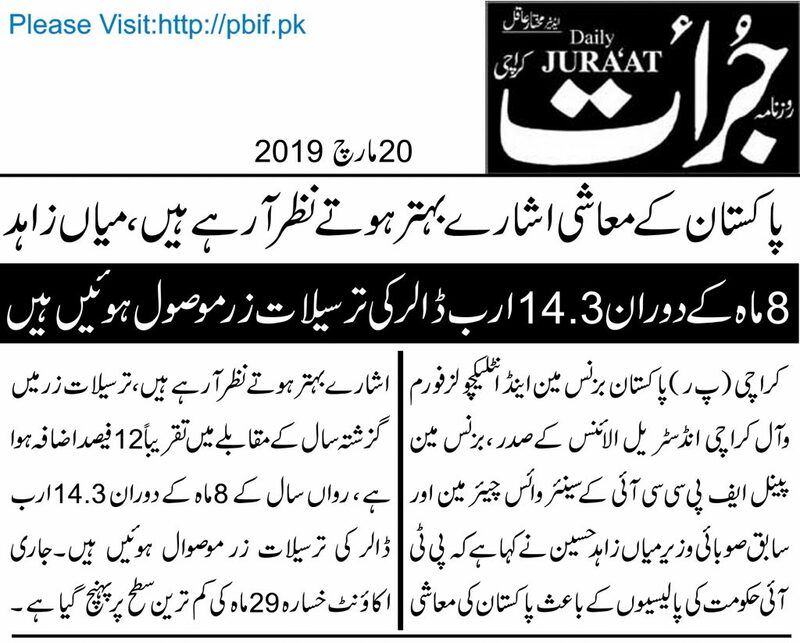 Current account deficit has attained 29 months low level of $ 356 million which was $ 1280 million in the previous year. 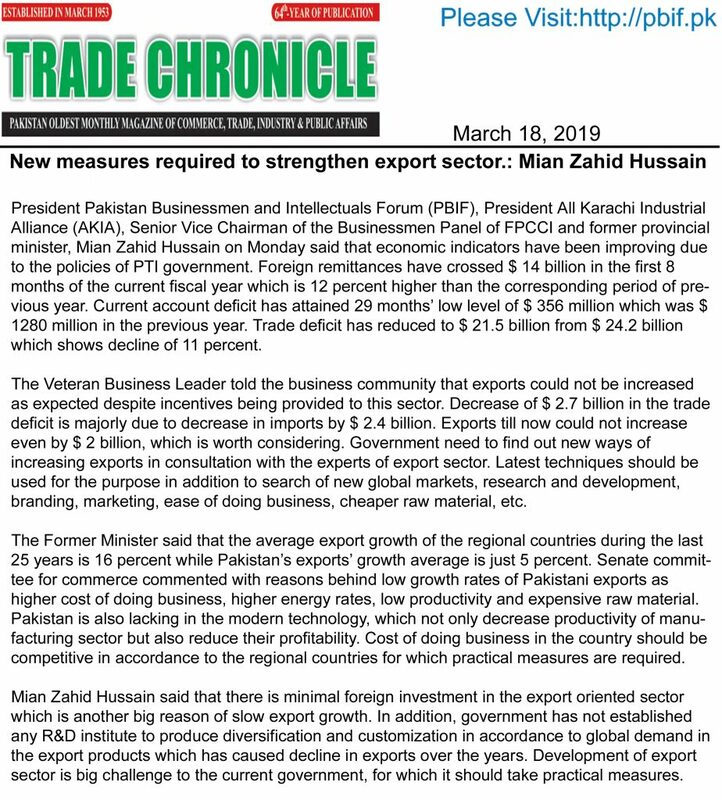 Trade deficit has reduced to $ 21.5 billion from $ 24.2 billion which shows decline of 11 percent. 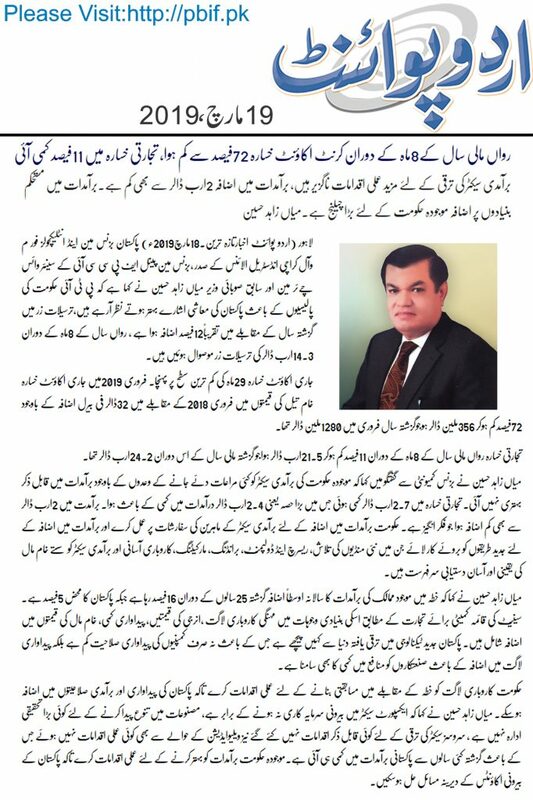 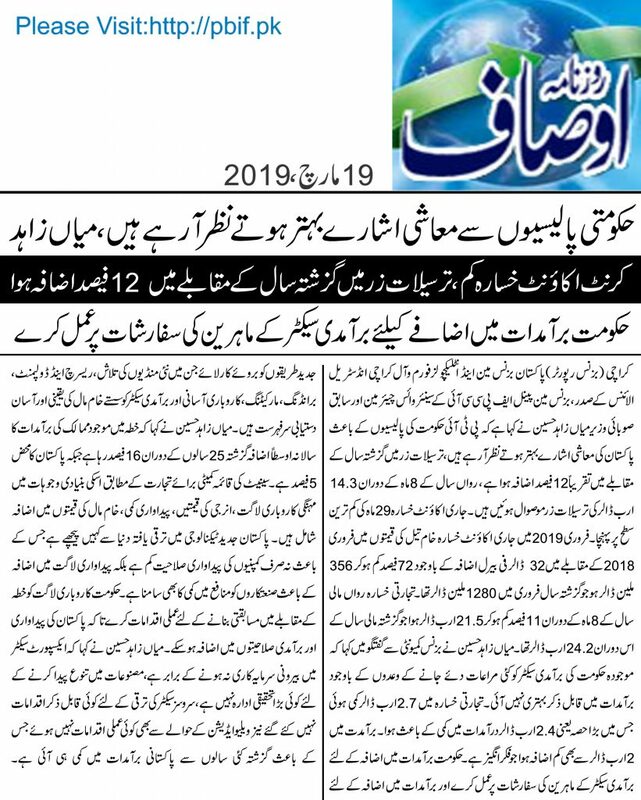 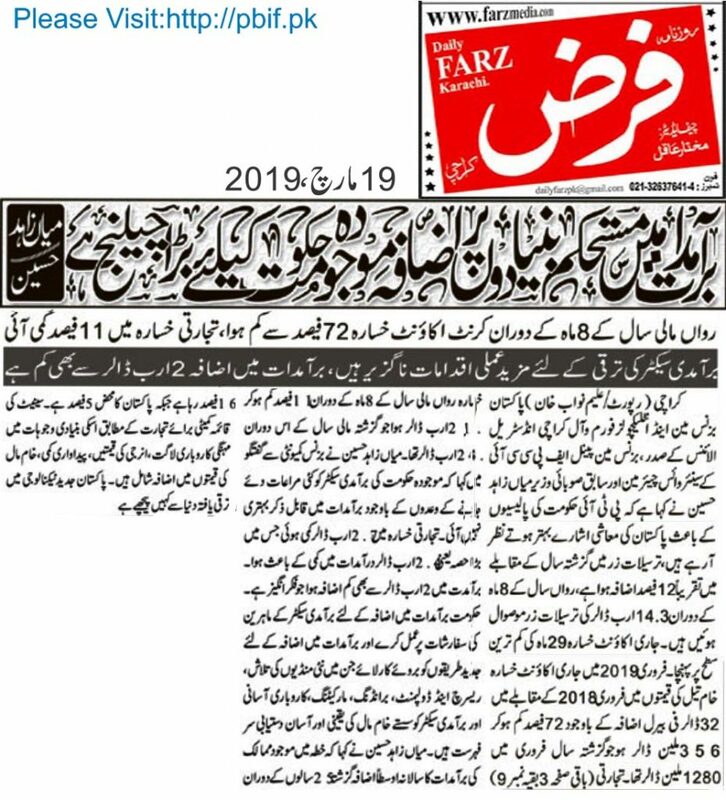 Previous articleAsad Umer`s letter to FATF related to India is appropriate step Ignoring strong evidences against India is a question mark on the credibility of the International Organization India is trying to use FATF in rivalry against Pakistan. 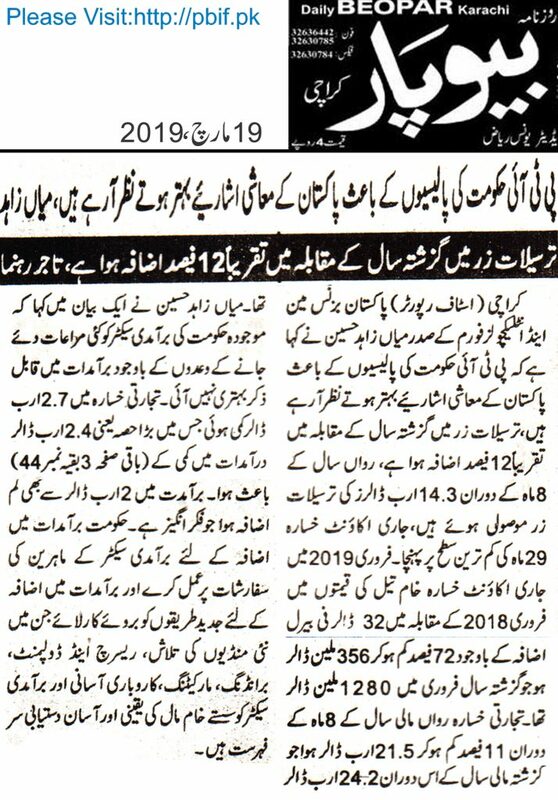 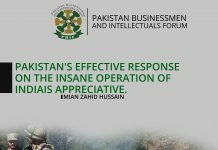 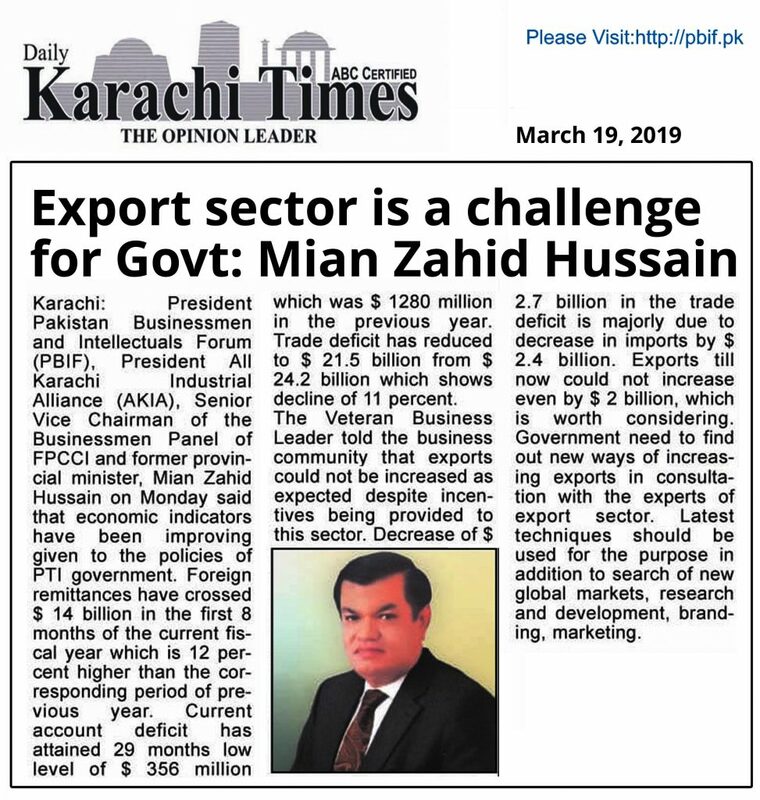 Next articleIncrease in exports is vital in consultation with trade and economy experts to attain the destination of economic stability after invincible defence. 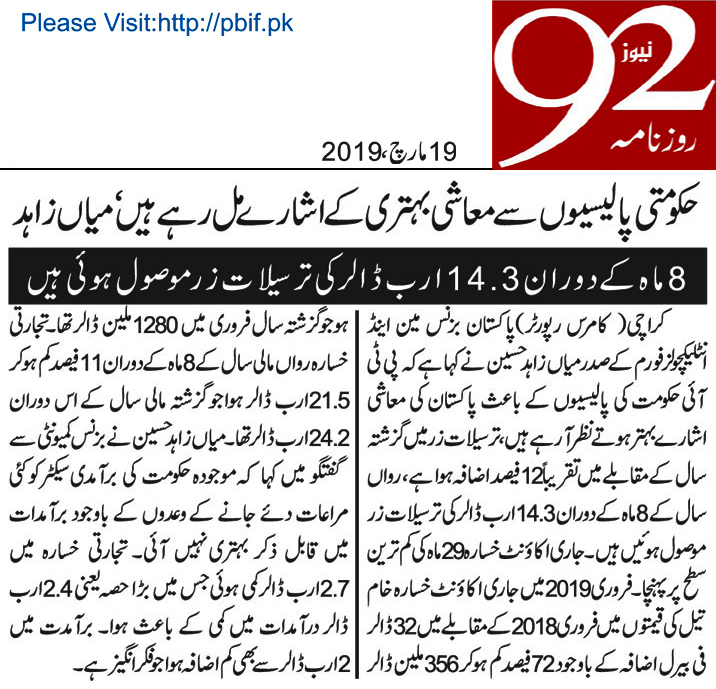 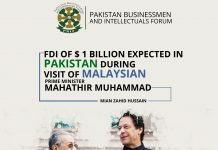 FDI of $ 1 billion expected in Pakistan during visit of Malaysian Prime Minister Mahathir Muhammad.